Journalism has become one of the most popular segments of the industry. Indian media has great impact all over the World. Every nation wants to see Indian Media and Indian Printing Machinery and Printing Works expressed Dayaker Reddy President IPAMA, while handing over the Award to Vipin Gaur in the presence of august audience. Vipin Gaur is also the Chairman of Media Committee of ICMEI – International Chambers of Media and Entertainment Industry honored for his untiring efforts in the field of Journalism. IPAMA has invited the entire Graphic Arts Industry for the same. Apart from the road show the agenda would be to form a Federation so that the voice of the printing industry could be listened by the law makers. Indian printing industry is a huge industry and it is almost at par with the automobile sector if not bigger than it. 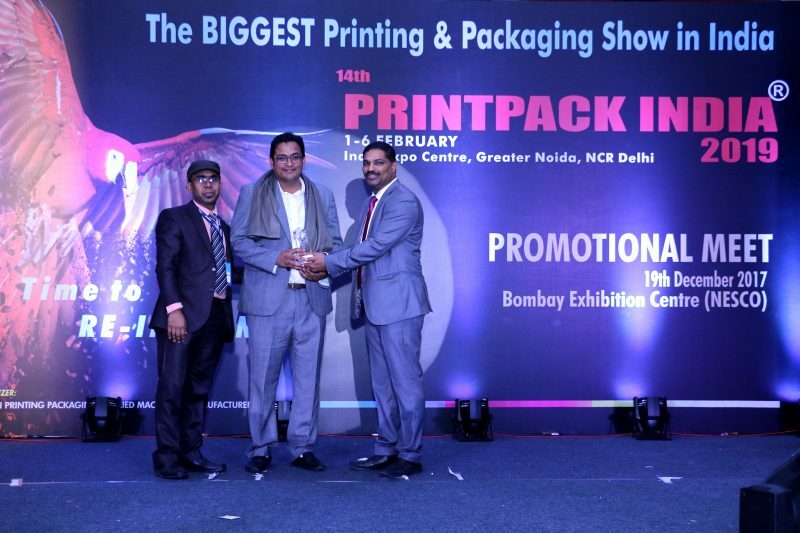 Also announced The 14th edition of its biennial flagship show PRINTPACK INDIA 2019 is scheduled to be held from February 1 – 6, 2019 again at India Expo Centre, Greater Noida, NCR Delhi.